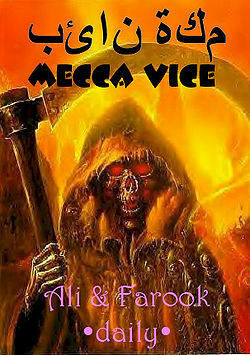 For the religious among us who choose to believe lies, the "questionable parody" of this website called Wikipedia have an article about Mecca Vice. يمكنك حفظ عذرك في سبيل الله! Advertising on the series is considered highly lucrative with a long list of Halal advertisers waiting for the "Perrier Halal Mineral Water" campaign to end. 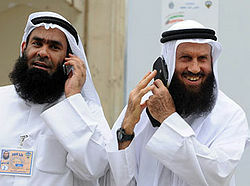 Negotiations for American programming are also under way; and it is rumored that FOX TV executives have agreed to allow the terrorists to succeed in upcoming Season Nine of the fantasy program, "24", in order to secure the "Mecca Vice" American broadcasting rights. 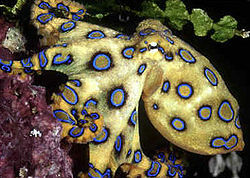 Blue-ringed octopus, the only known Muslim sub-human species, have quickly become the most popular pet in Saudi Arabia. Warning: deadly toxic terrorist!